Can’t make it to our facility? Our amazing staff and wildlife can come to you! Our outreach programs are free of charge and are available for a wide range of audiences. The Great Plains Nature Center specializes in topics related to the great plains region. This includes local animals and plants, habitats and ecology, fossils and geology, backyard wildlife topics, hunting and fishing, wildlife careers, and more! Programs can be between 15 minutes and 1 hour. 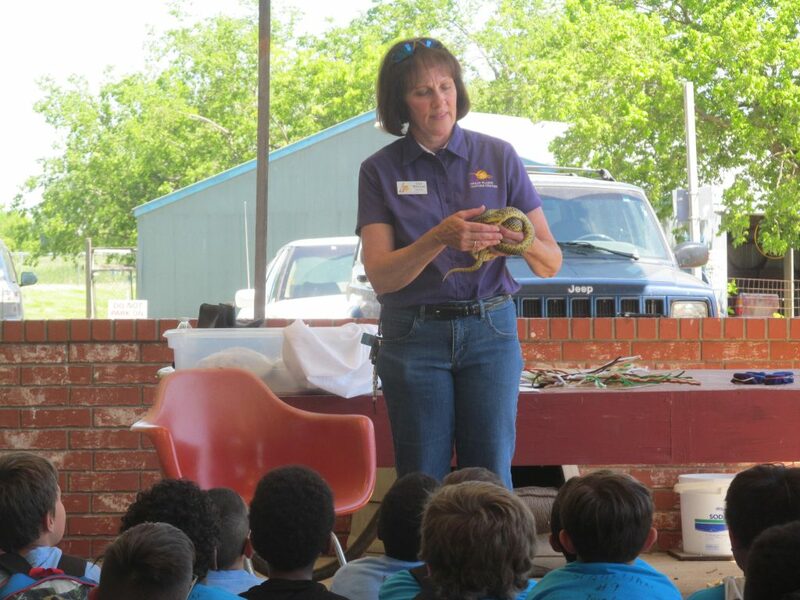 Naturalists can give multiple presentations during a single trip to your facility. Outreach programs are limited to once a semester. There is no fee for our programming, but donations to Friends of the Great Plains Nature Center (FGPNC) are gratefully accepted.